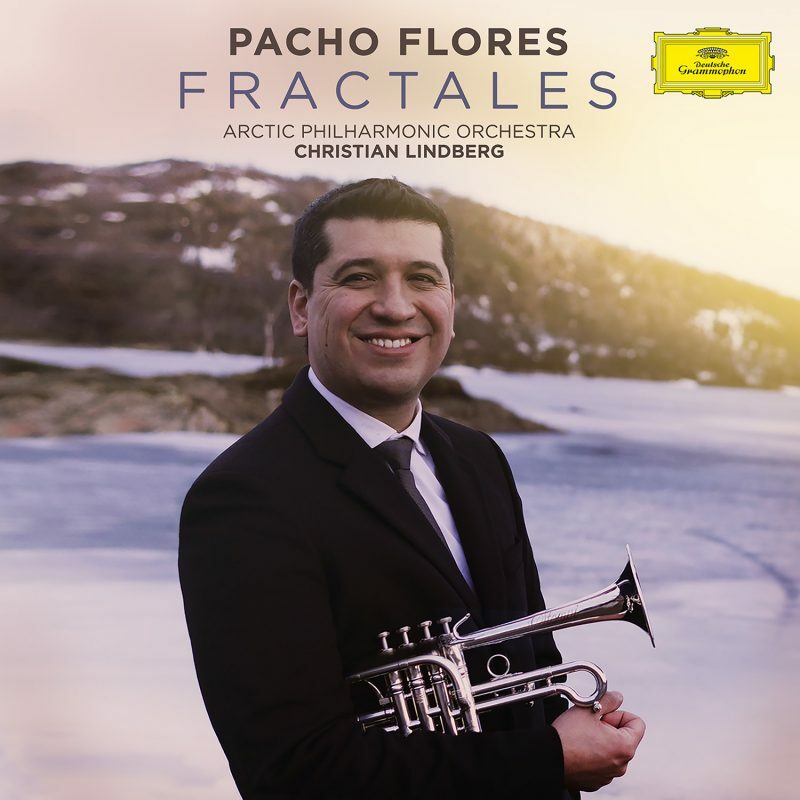 Pacho Flores, together with Christian Lindberg and the Arctic Philharmonic Orchestra, presents his new Deutsche Grammophon recording FRACTALES. Recorded last May at the Stormen Hall in Bodo, one of the Norwegian orchestra’s headquarters, FRACTALES includes trumpet masterpieces such as Haydn and Arutunian concertos, the astonishing contemporary composition Akban Bunka by Christian Lindberg and some of the key works in Pacho’s repertoire such as his own transcription of Sarasate’s Gypsy Airs and Efraín Oscher’s arrangements of Tom Jobim’s Chega de Saudade and Piazzolla’s Oblivion. FRACTALES is Pacho’s third recording for Deutsche Grammophon following CANTAR, recorded with the Berlin Funkhausorchester and Christian Vásquez and ENTROPÍA, with guitarist Jesús ‘Pingüino’ González. Some of the works included in this recording will be played in the tour presentation concerts in Bodo and Tromso, Norway (Haydn and Arutunian), the Amsterdam Concertgebouw (Haydn) and the ADDA Auditorium in Alicante, Spain (Lindberg). As well as professional partners, Pacho and Christian are very good friends and FRACTALES is not their only project together. 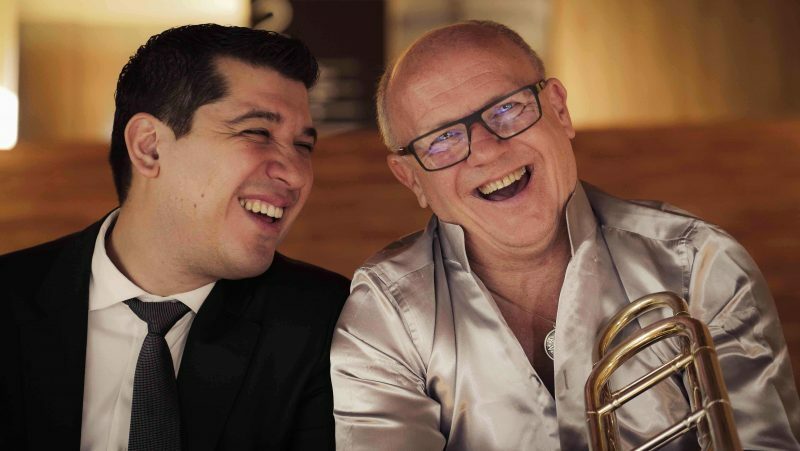 Christian, trombonist, composer and conductor, is writing a new Double Concerto for trumpet and trombone that will be premiered on March 21 and 22, 2019, with Christian conducting the Spanish Radio and Television Orchestra and Ximo Vicedo on trombone. He is also collaborating with Pacho in his Project of Shared Commissions of New Trumpet Concertos. With regard to this project, Arturo Márquez’s Concierto de Otoño has already been premiered by the National Orchestra of Mexico and Carlos Miguel Prieto and further premieres are planned with the Tucson Symphony Orchestra and José Luis Gómez in the USA, with the Hyogo PAC Orchestra and Michiyoshi Inoue in Japan and with the Oviedo Filarmonía and Lucas Macías in Spain. New concertos by Roberto Sierra, Paquito D’Rivera, Efraín Oscher and Christian Lindberg will be premiered in the coming seasons. Following FRACTALES, Pacho is already working on new recording projects.